This semester The Emerging Media Master’s program enters an exciting second year! Although we’ve had bittersweet goodbyes with our recent graduates, we are thrilled to say hello to a new group of EM students and a brand new Emerging Media Design Lab. Successfully completing their capstone projects this July, the program celebrated its first graduates. Emerging Media Masters students must design, create and market an emerging media product, and this first set of graduates did a phenomenal job. Eric Daniel and Chalen Duncan created a unique, user-centered virtual reality game called GemQuest, and Amanda Keuler created the social app, Fave, designed to share your friends’ lists of favorite things all in one place. Congratulations to these students on all their hard work, and good luck to each as they enter the post-grad world! After parting ways with a few of their own, the Emerging Media family was ready to embrace the second-ever cohort with open arms. This year’s group of 15 students is off to a great start! 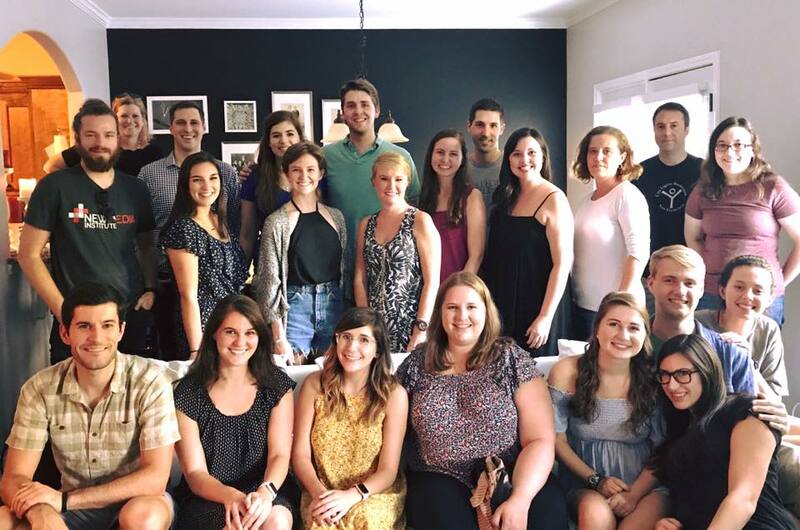 This new group of go-getters is comprised of NMI alum, working professionals (many from right here on campus!) and students from the all new Double Dawgs program. Both cohorts of students have access to the recently-launched Emerging Media Design Lab located here in the NMI. Students have the ability to explore innovative technologies like the new Microsoft Surface Studio and Microsoft’s mixed reality headset, HoloLens, as they explore various facets of emerging media, develop their capstone projects, and take on other assignments throughout their graduate career. The still-growing program will continue to develop as we look to launch an online option in the coming years. Stay tuned for more Emerging Media updates all year long!